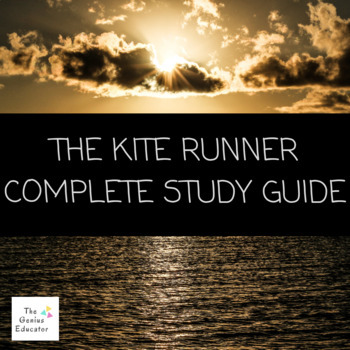 This is a highly-engaging resource that will guide students through the more difficult concepts of a complex novel. Introductory handouts have been designed to reach all learners, and to promote discussion amongst your students. 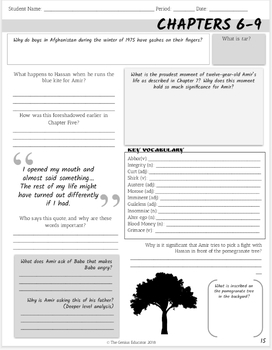 The structure of the comprehension questions for chapters will keep your students' interest, as well as be engaging for the teacher to later assess. 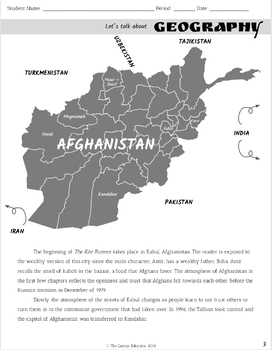 The Kite Runner by Khaled Hosseini is a beautifully-written novel that teaches students about the plight of emigrant Afghans during the Taliban rise to power and how one boy finds redemption from his own haunted past. If you are looking to teach a cultural novel in your own classroom that will expand your students' understanding of the world, teach them empathy and tolerance of other cultures, as well as engage student interest on a new level, this resource is for your classroom.